I had a change of mind! 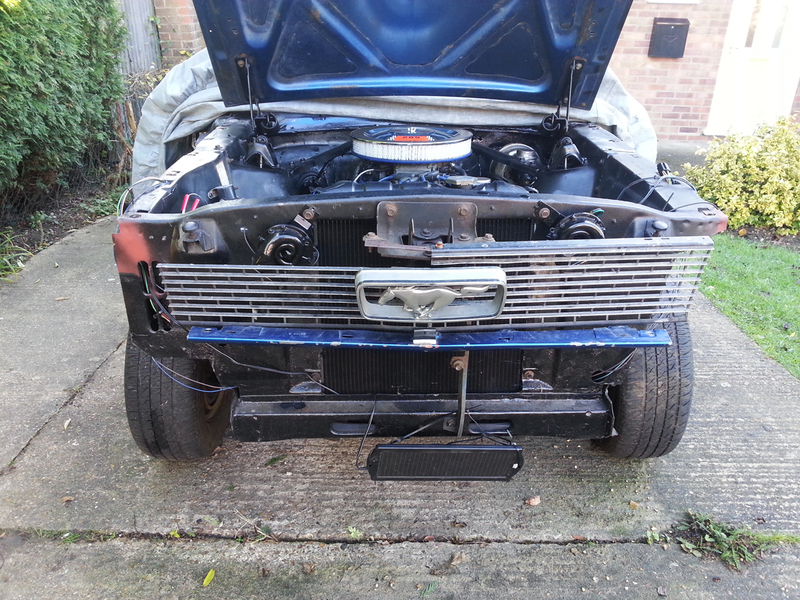 Ever wondered what the front end of ’66 Mustang looks like without bodywork? 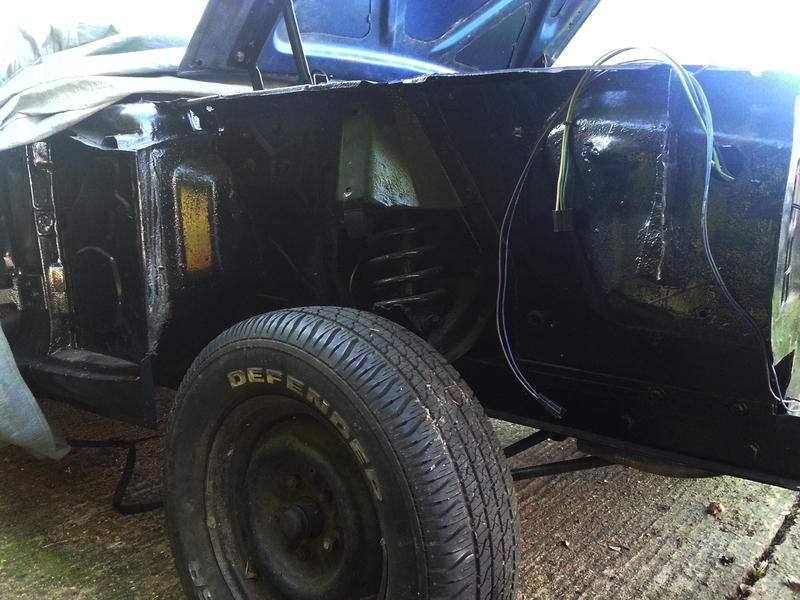 I have decided to remove the bodywork from the front of the car. The only bit I couldn’t bring myself to remove was the grill with the Mustang badge. 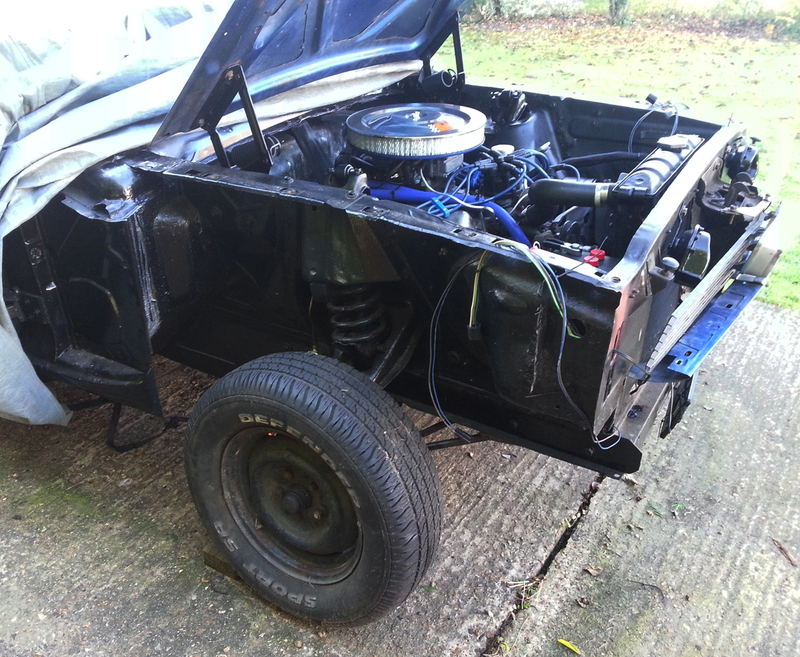 (I have left the bonnet in place though just to hold the cover in place). I was going to replace the fender I had treated and remove the other fender and work on that. But as the front is only held on by a few bolts I decided to take the lot of and put it in safe storage in the shed or my man cave. I will then be able to work on the lot and put it all back together in one go with all the correct nuts and bolts. I have added a few pics of the car without metal work as it’s not something I will repeat to many times. Ok so the wire don’t look pretty just being wrapped around the engine bay, they are only there to stop them dragging on the floor. The bit hanging off the front is the solar-powered battery trickle charger. I will be writing a review on that as well later. This is an ideal time to look at the underbody work and see if anything needs doing. If you look closely you will see the previous brake pipe work I have done.